A criminal organization has made $3.4 million by compromising Jenkins servers and installing a Monero cryptocurrency miner dubbed JenkinsMiner. “The perpetrator, allegedly of Chinese origin, has been running the XMRig miner on many versions of Windows, and has already secured him over $3 million worth of Monero crypto-currency. As if that wasn’t enough though, he has now upped his game by targeting the powerful Jenkins CI server, giving him the capacity to generate even more coins.” states a blog post published by CheckPoint. According to the researchers, threat actors behind the massive mining operation were leveraging the CVE-2017-1000353 RCE vulnerability in the Jenkins Java deserialization implementation. The vulnerability is due to lack of validation of the serialized object, its exploitation allowed the attackers to make Jenkins servers download and install the JenkinsMiner. “The operation uses a hybridization of a Remote Access Trojan (RAT) and XMRig miner over the past months to target victims around the globe. The miner is capable of running on many platforms and Windows versions, and it seems like most of the victims so far are personal computers. With every campaign, the malware has gone through several updates and the mining pool used to transfer the profits is also changed.” continues the post. 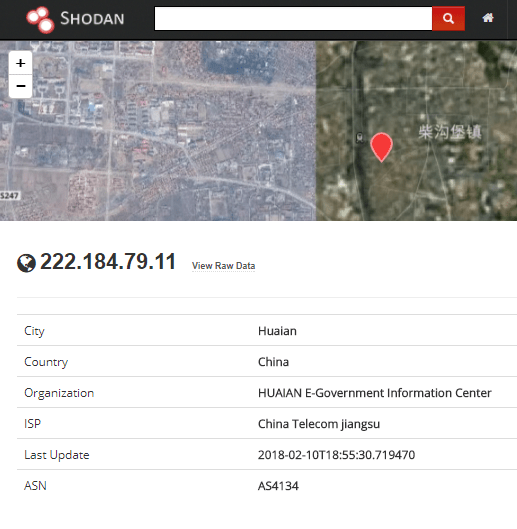 Most of the downloads for the JenkinsMiner are from IP address located in China and assigned to the Huaian government information center, of course, we are not able to determine if the server was compromised or explicitly used by state-sponsored hackers. Further details and IoCs are included in the analysis published by CheckPoint. In January, security expert Mikail Tunç analyzed Jenkins servers exposed online discovering that many instances leak sensitive information. Tunç highlighted that Jenkins typically requires credentials to the code repository and access to an environment in which to deploy the code, usually GitHub, AWS, and Azure. Failure to configure the application correctly can expose data to serious risk. The researcher discovered that many misconfigured systems provided guest or administrator permissions by default, while others allowed guest or admin access to anyone who registered an account.